A better #birdboxchallenge would help sighted people understand the realities of visual impairment better. It’s so sudden, I leap out of my skin. I’m at the library, navigating to my favorite table with my Victor Reader Stream in hand. I find my chair, fold my cane, and start to pull my seat out, when all of a sudden, the chair moves on its own. I don’t even have time to think about what’s happening: I just lunge after where I think the chair should be. But in trying to prevent myself from falling, I crash into someone. .
“I was just so shocked,” he blurts. “Shocked about what?” I ask. He means because I’m blind. 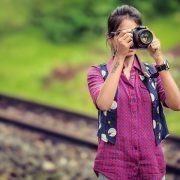 I’m silent. He means because I’m blind. “I’ve seen it.” I reply. “You mean the Bird Box Challenge?” I ask. 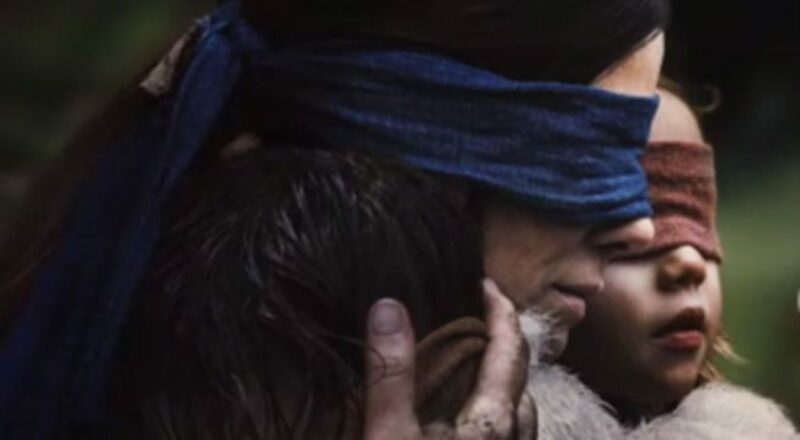 In the Bird Box Challenge, participants wear blindfolds and try to do everyday activities blind: iron their clothes, wash the dishes, cook dinner, drive their car. The challenge is named after the Netflix horror film in which the last remnants of humanity need to get around the world blindfolded so as not to be driven mad by sanity-shattering monsters. Frankly, the entire meme is representative of my very worst opinions about sighted people: that they are stupid about blindness, and so self-involved they can’t even spend twenty-seconds to Google how blind people get around the world. Okay. So Ryan thinks he has some first-hand experience with blindness. So I decide to engage with him on it. People put a blindfold on for twenty minutes, and think they suddenly have insight into how ‘hard’ life is when you’re blind. “So what cane techniques did you learn?” I ask him. “Two-point touch? Shoreline? What about NVDA? Did you find that challenging?” I ask. In response to this and a few other baseline questions about getting around the world when he’s blind, Ryan is silent. And that’s my issue, in a nutshell, with the Bird Box Challenge. People put a blindfold on for twenty minutes, and think they suddenly have insight into how ‘hard’ life is when you’re blind. But they’re not going beyond that, and using the Challenge as a way to better understand the experience of blindness, or what blind people actually go through. They don’t learn about smart canes, or braille, or screen readers: they just stumble around in the dark for twenty minutes, and then make like they have some profound new understanding of what unique and tragic heroes we blind people are. People like Ryan haven’t learned anything, and that frustrates me, because a better #birdboxchallenge could really help elevate the dialog around blind people, and make the world more accessible to the blind. For example, it could involve using a screen reader while blindfolded, or collaborating with a blind friend to take cane walking lessons. 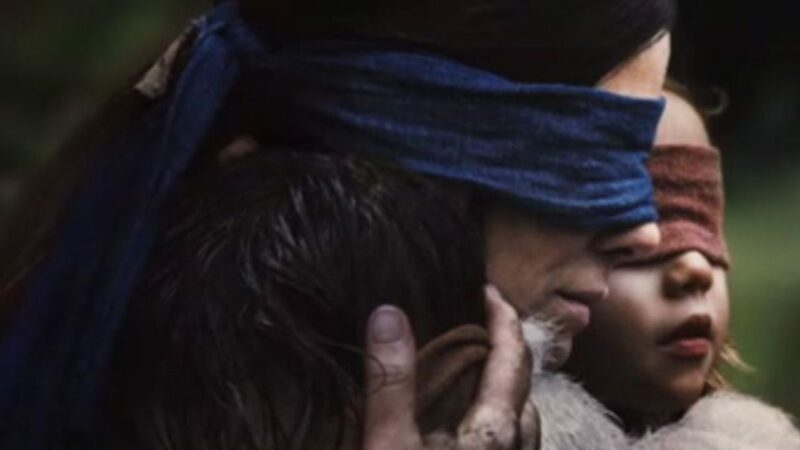 A better #birdboxchallenge could really help elevate the dialog around blind people, and make the world more accessible to the blind. I’d love it if a sighted person came up to me and said: “I tried using VoiceOver on my iPhone for a month and now have a better understanding of how you do things.” I’d love it if a sighted person used the Bird Box Challenge to watch an audio described movie blindfolded. I’d love it if a sighted person browsed the web with NVDA for a week, if only to grasp how severe my challenge is. I don’t see anybody doing that, though. I wish I did. Instead, I see ignorant sighted people getting a thrill out of being in danger… and putting other people in danger in the process.